we cannot have peace of mind. 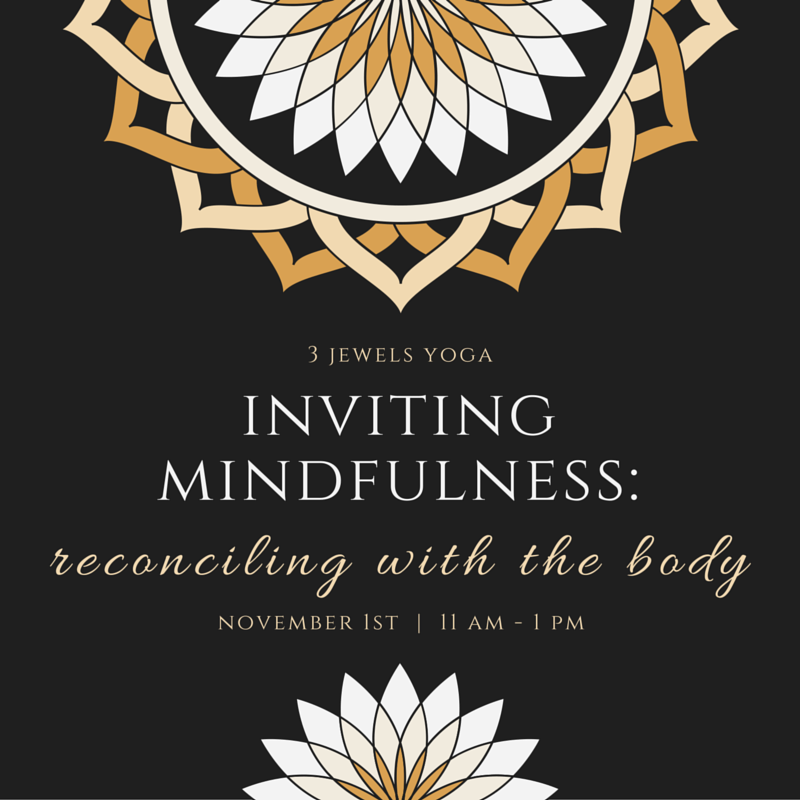 Reconciling with the Body is a practice of learning to acknowledge, witness, accept and embrace our body as it is in this moment. We learn to inhabit our body with the full awareness of its nature to change — to age, to become ill or injured, and to experience limitations. We learn to take care of the difficult feelings that arise in the face of these changes and to tend to ourselves with great tenderness. We look deeply into our self-perceptions and, with diligent effort, patience and kindness, begin to release beliefs that are harmful or no longer true. From this place of skillful understanding, we can explore our capacity to nourish ourselves with meaningful movements that restore or inspire new ways of seeing, thinking about, and caring for our bodies.